Jaguar's F-Type is an impressive machine, but is it a worthy successor to the old E-Type? Fans of Jaguar have been waiting for the F-Type for far too long. After years of rumors, financial issues and false starts, Jaguar has finally delivered the car that best embodies the spirit of the beloved E-Type. But those are mighty big shoes to fill. So does the new Jag deliver the goods on all fronts? 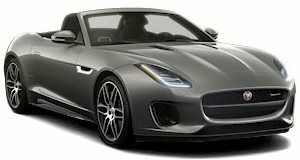 To find out, Motor Trend scribe Kim Reynolds heads to Spain to drive it and report back to us in this latest video on the car that aims to propel Jaguar out of the margins of the luxury car market and back into proper sportscar territory. So how does the F-Type measure up? Check out the video below to find out from the automotive publication of record. Self-improvement via a supercharged V6 roadster.